It was shortly after the IKAA Gathering in 2010 that I "retired" this blog, and here it is, three years later and another IKAA conference has just wrapped up. On facebook, I "like" all my friends' photos and statuses posted of their trip. I haven't been to Korea since 2007. I can't believe it's been six years. At the time of the 2010 Gathering I wrote a sad and sobering post about the mixed feelings the Gatherings evoke for me. As wonderful as they are, there is always a part of me that is irritated that there is the necessity for these spaces. Our lives are lived so much on the binaries of the world that these spaces for adult adoptees only often serve as the only "safe" spaces. Yet in reality they're not safe. Because the feelings and emotions that crop up easily put us in turmoil. The Gatherings and in other adult-adoptee only spaces are the only times in my life where I feel both simultaneous joy and sorrow. Joy to be with others that have shared my experiences; sorrow that we've felt so much marginalization in our lives that the spaces are even necessary. I feel as if we are on the edge of a huge shift. 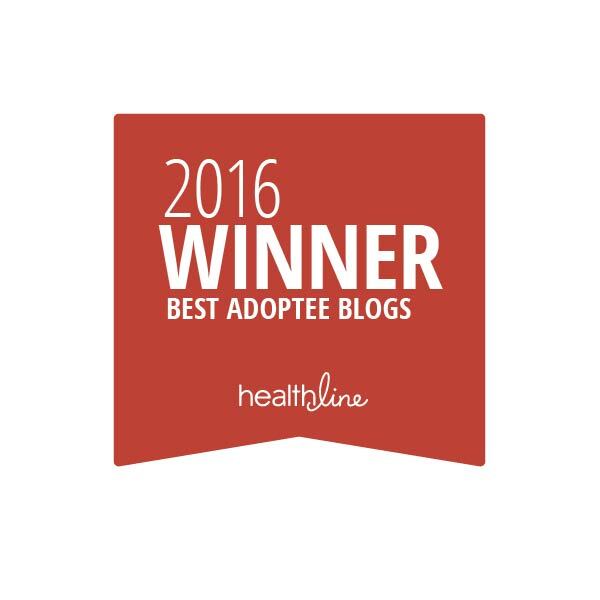 I see it in my job – working with adoption professionals. I see it in the community work I'm part of – the launch of Gazillion Voices magazine, the formation of groups such as the Adoptee Policy and Reform Collaborative (APRC), the Society for Adoptee Professionals in Adoption (SAPA), the shift over the past 5-7 years from adoption conferences led by non-adoptee scholars and professionals to ones where adoptee scholars and professionals have leadership roles on committees and boards. Adoptees are now on boards of adoption agencies and hold high-level positions and are doing incredible art. It almost makes me giddy thinking about it all. I've also noticed that with this growth comes some tensions and, let's be honest, some pushback from those who have traditionally held the power in the adoption realm, namely adoptive parents and adoption agency professionals. This is a natural and expected tension, and one that can be fraught with a lot of anger and accusations and finger pointing. But in the end it is all productive, even when really, really difficult. We must learn that power must be shared. I recently wrote in the forward to Amanda H.L. Transue-Woolston's (from the Declassified Adoptee blog) upcoming book that we've pretended for a long time that there was this adoption "triad" – and that in most conceptualizations of this, the image was that of an equilateral triangle. 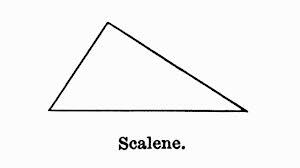 But we know that this is false; the triangle has always in truth been more of a scalene triangle, one in which there are no equal sides. And honestly, the adopted individual and the birth family – have never been the longest side. So now that birth families and adoptees are demanding – not asking permission – for more say and decision making power, will that "triangle" begin to look more equal? My guess is that no, it won't. Because many of us (including adoptive parent allies) are actually working to dismantle the triangle all together. Because this (adoption) isn't a closed system, a closed family system that chooses who is in/out, represented/excluded – the thought of an adoption constellation (see for example Michael Grand's book or Adoption Mosaic) makes much more sense…the exponential possiblities for the many ways families can look and be. Powerful post, JaeRan. 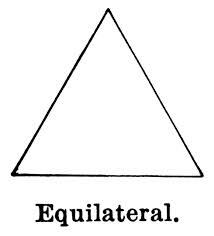 I have long agreed that the concept of the “triangle” is both inadequately descriptive of adoption and implies false equality of representation of the various roles (adoptee, original parent, adoptive parent, etc.) in adoption. Foremost I held this view thinking of my extended adoptive and original families, among other people and entities, not represented by the triangle but are relevant nonetheless. It had not occurred to me that the triangle also represented a closed family system in which the boundaries of the system become so rigid those on the margins are excluded from discourse. Your point is brilliant and irrefutable. There is no triangle. It’s a noose, hanging from the powerful life-giving tree, using the life force energy from the natural parent and shutting them up, degrading them, feeding them guilt, shame and doubt as parents in order to separate us to create ‘man made’ families that adopters are willing to pay big bucks for. The ‘grabbers’ of the tree of life is in powerful positions and I am sure they do not want to give that up. They have worked 60+ years to come up with smart strategic marketing plans in how to gain children and sell children’ from all around the world depending on the countries culture, snaking and sneaking their way through families, government and churches. The only problem…..they didn’t plan for the children to grow up and speak for themselves. Adoptees are taught to not ask questions and to ‘trust’ that these decisions made by strangers were in our best interest. Our role, as an adoptee, is to trust, be grateful, not ask questions, smile, look cute, don’t question authority because ‘white man’ know best. Therefore, we stop asking questions and become obedient. We forgot that GOD or Universal Life Force Energy gave us free will to think for ourselves. We also don’t want to hurt our ‘families’ because that would cause a lot of discomfort. The corruptions continue, it’s the perfect crime. When we start asking questions, people in power will feel intimidated because it’s a minority group questioning all that we have held as the ‘truth’. Maybe their truth is not our truth or what we want our truth’ to be. Our power in numbers will then take away their power. I predict in 10 years IA will be seen as child trafficking and will be outlawed. Is it abduction or adoption? Is it child trafficking dressed up in pretty wrapping paper? Is it really slavery, after all, we are stripped of our original identity, in order to ‘play a part’. We have no choice but to stay and obey our masters without question, starting at the time the money hits the bank account for the middle man. We are not allowed to look back. In fact, they lock up and deny us our rights because they are scared we will find out the real truth. When someone is lying they don’t want you to find out the truth and that is pretty suspicious. We are finally pushing back…We would like to make a new triangle. A triangle I demand is for women rights, children rights and human rights. My heart cries. I love my adopted sons so very, very much. It breaks my heart that they would be unhappy. I am in tears over this thought. I agree there are some things happening in the bigger picture that should not be and should be changed, most definitely! But I love my boys with all my heat. does no one care that I have given my mothers heart and soul to my sons and ask for nothing in return but the privilege of loving them? Surely some of your adoptive parents feel the same way, understand and yet have given you this priceless love. My mother died when I was very little and I grew up without one. All I ever wanted to do was a chance to love my children. I would never deprive them of their heritage and contact with their birth families and culture. I love them enough to want them to have that but please don’t influence young adoptees to stir up strive with those of us who would lay down our lives for them without even a second thought.. I hear so much hatred for adoptive parents here. I am just so very broken to hear this . I am not evil, just madly in love with my sons.